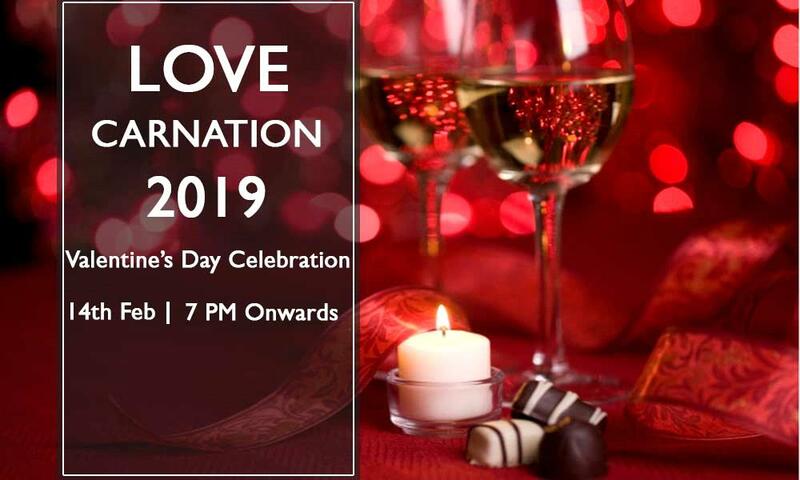 The grand valentine celebration, Love Carnation 2019 will be held on 14th of February 2019 at The Chancery Pavilion, Bangalore. Whether you like a table overlooking the serene pool or a cozy corner in the Al Fresco, we will leave no stone unturned when it comes to creating an unforgettable experience for you. Let us host you this Valentine’s Day and make it memorable for you and your partner. We, Mugulunage Creation & Chancery Pavilion invite you for an evening filled with delicious food, romantic music and Valentine’s Day themed ambiance. Lay back and celebrate your love while our chef prepares irresistible delicacies. We are not responsible for any injury or damage occurring due to the event. Being only a ticketing portal, Indiaeve does not take any responsibility for the activities going on inside or outside the event, as the entire responsibility of it is of the organizer/venue.